When I had the engine overhaul shop two items that I would never purchase used were crankshafts and propellers. The reason being is that without a service history I could never be sure that the item did not have a hidden and dangerous repair. Here is a link for an interesting accident report that discusses these two issues. Part of the reason was some of the games people played. A crankshaft that was bent way past limits would be "pre-straightened" and then brought to my shop for inspection and "yellow-tag". This occured multiple times both when I had a propeller shop and a engine overhaul shop. 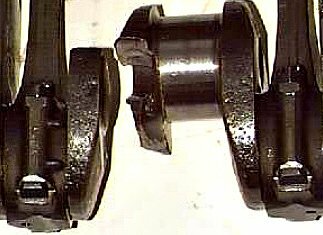 If I needed a crankshaft better to purchase an entire engine with logs, take the crankshaft and part out the rest. Don't be nieve.